Linlithgow 2s departed for an early kick off at Liberton’s pitch at Double Hedges Road in Edinburgh. This was because Liberton 1s were playing Leith on the same pitch at three o’clock and this meant the seconds’ game was played and completed before that game. As this was the last game for the 2s this season the manager was glad of a couple of Linlithgow visitors to bolster his depleted squad. 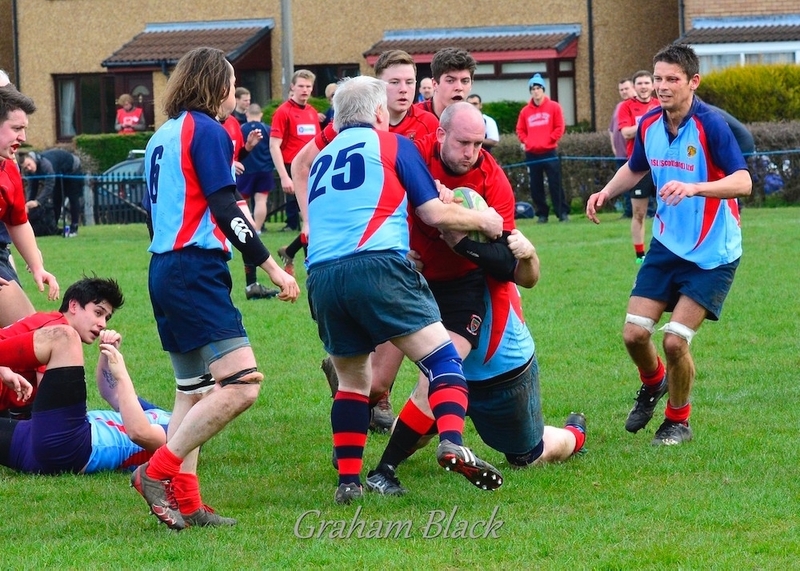 Simon MacLennan, and the “Chess Master” (aka Stuart Gordon) made the team complete with ten forwards and five backs. 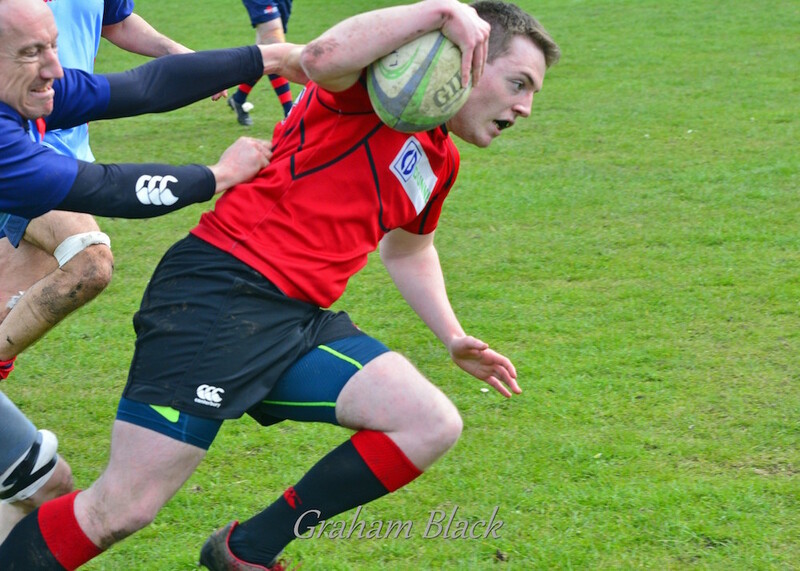 Simon MacLennan volunteered to play scrum half and Sean Hagarty moved to the centre. Drew Sommerville caught the ball cleanly from the first KO but carried for a few yards and then hoofed the ball up the park. Sam McAllister put pressure on the Liberton winger but a penalty was conceded. 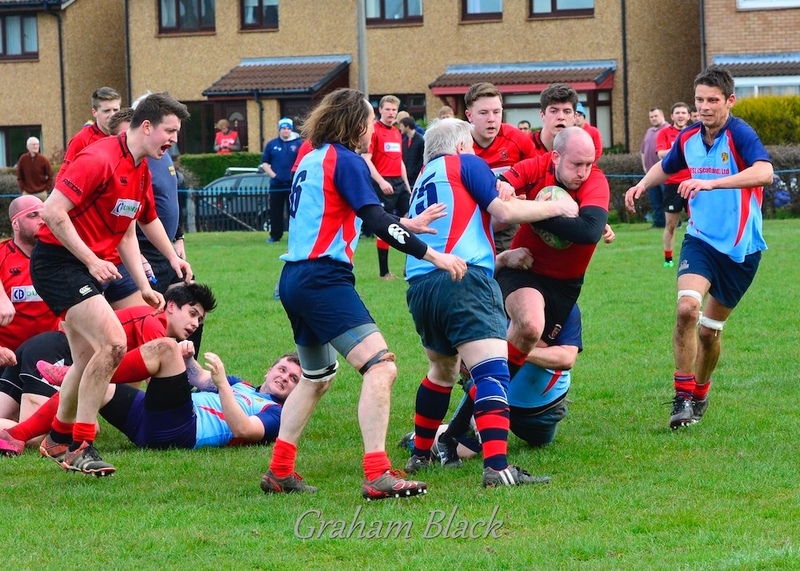 Liberton had the best of the early exchanges as the Linlithgow team generally made mistake after mistake and from one such incident scored the first try. 5-0 to Liberton. 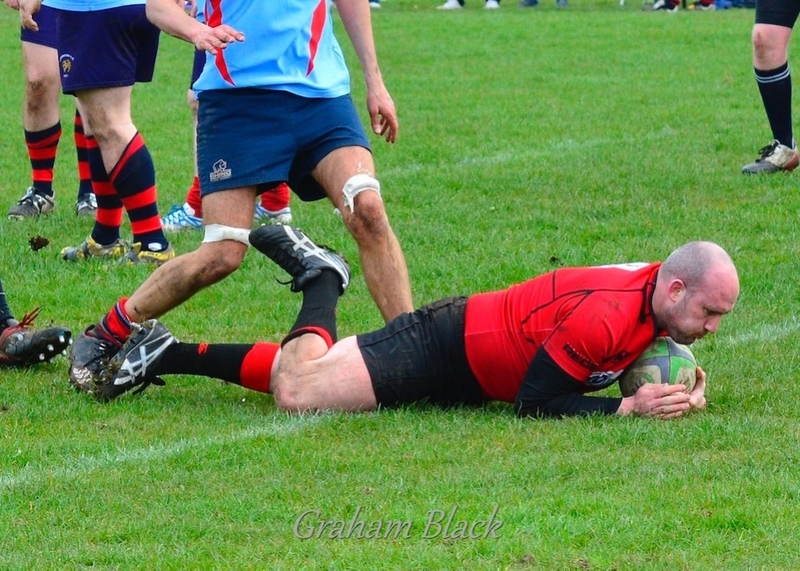 Simon MacLennan was proving a useful asset at scrum half and he took a quick tap penalty to score for Linlithgow which was converted 12-5. 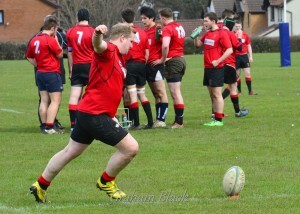 He then scored another quickly to make the score 17-5 for Linlithgow. 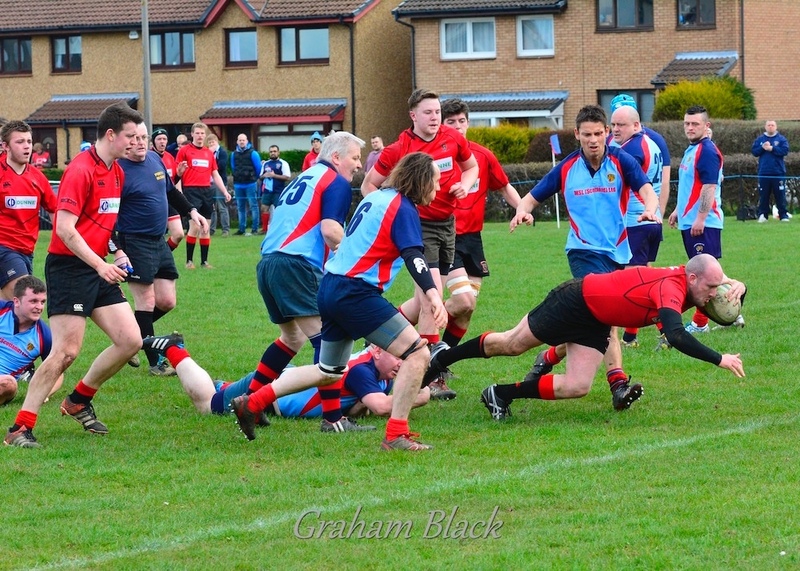 The Reds relaxed after this and Liberton sneaked in from a loose ruck to leave the score 17-12 at half time. The manager had some choice words to say at half time as Linlithgow should have been streets ahead but we’re not. After the restart James Timlin supporting Muzz strode between the posts (24-12). 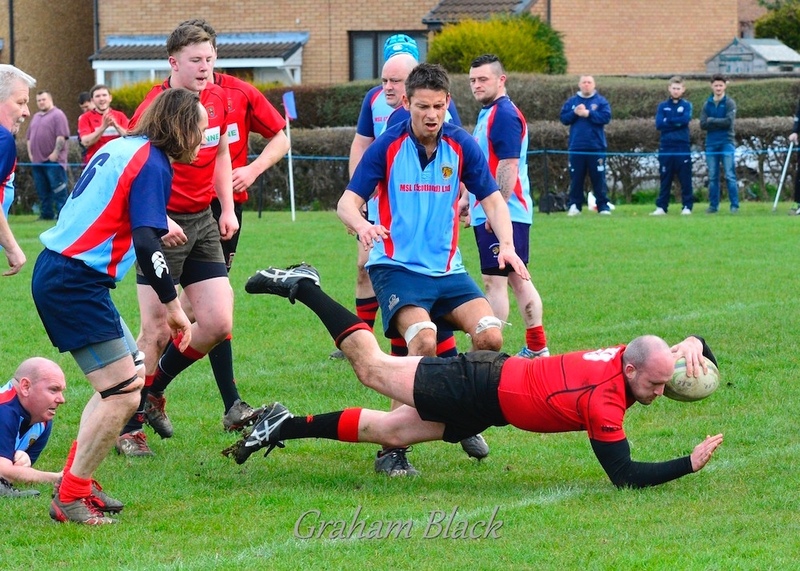 Liberton were tiring now and Rory McAdam scored with Euan Murray getting a good try and James Timlin another to leave the final score 38-12 in favour of the Reds. A good victory to close out the season!